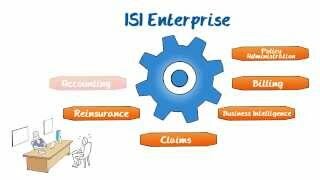 Founded in 1997, Insurance Systems Inc. (ISI) is 100% dedicated to providing technology solutions to the P&C insurance industry. We take an integrated approach to policy administration. This means that we don’t believe it ends once the policy is out the door. Billing, claims, reinsurance, loss control and financials are key components of the business, which is why we developed a suite of solutions that bring these pieces together on one modern platform. We also give insurers a few things they wouldn't normally expect in a policy administration software including CRM, a robust rules engine, a flexible document engine, document management functionality and business intelligence tools – all in one configurable, modern platform. Increase automation and slash your costs. Respond to challenges and opportunities faster. Improve collaboration, getting information where it's needed, when it's needed. Quickly launch new product lines and grow your book of business. Maximize the profitability of all your distribution channels.